As a person ages, it becomes increasingly challenging to attain proper nutrition. Adjusting the diet accordingly will help prevent some health problems. Our bodies respond to food differently as we grow older, and our nutritional needs change. During the aging process there are significant changes in our caloric and nutritional needs. In addition, the risk of disease increases with advancing age, however, poor health is not an inevitable consequence of aging. Arthritis is the name given to a group of related diseases that can affect anyone regardless of age, gender or race. It can deprive otherwise healthy people of their quality of life by making even the simplest of movements painful. This pain is caused by inflammation of the lining of the body’s joints. Metroplex Health and Nutrition Services, Inc., provides comprehensive assessment and individualized diet-related intervention for the management of a wide variety of athletic and sports needs. Cardiovascular disease develops at widely differing rates in different individuals based on a variety of factors includes high blood pressure, abnormal blood cholesterol levels (of the "bad" cholesterol and/or low HDL "good" cholesterol), smoking, diabetes, etc. Lifestyle modifications including exercising regularly, maintaining a lean body weigh, eating a diet low in cholesterol and saturated fat along with other changes can help reduce the effects of cardiovascular disease. The American Dietetic Association confirms that nutrition intervention, designed and provided by a qualified nutrition professional, is an essential component of the treatment and recovery from chemical dependency. Chemical dependency accelerates nutrition needs beyond normal, so that even a well-balanced diet may be inadequate. We also provide comprehensive assessment and individualized diet-related intervention for the management of medication-nutrient interactions. A medication /nutrient interaction occurs when a medication affects the use of a nutrient in the body. Foods, and the nutrients they contain, can interact with medications we take. This can cause unwanted effects. Some prescription drugs may interfere with nutrient absorption, digestion, metabolism, utilization, or excretion. Similarly, nutritional status and diet can affect the action of many medications. The American Diabetes Association states that almost 16 million Americans have diabetes. Unfortunately, the numbers are growing at a startling rate. And even more alarming is the fact that many people are not even aware of their condition, and thus are not under the care of a practitioner. Although it occurs most often in older adults, it has also become one of the most chronic disorders among African American children. While diabetes is a very serious disease, the treatment doesn’t have to be. A few modifications to an individual’s lifestyle, weight loss, exercise, etc., can make a tremendous difference. The ideal image of the female body as depicted in the media—tall thin models—appeals to teenagers. Because, they have the tendency to imitate, it is this thin image that they strive to achieve and they search for any means to attain the desired effect, and at any cost. Eating disorders afflict millions of people and is responsible for thousands of deaths each year. However, there is good news, eating disorders can be beaten. Developing a regular physical exercise program is the first step towards better health. Whether male or female, tall or short, fat or slender, competitive or not, your body will function better if you exercise regularly. Regular physical exercise can help reduce weight, decrease the risk of cardiovascular conditions, and increase the HDL (high density lipoproteins) or "good" cholesterol in your blood. People living with HIV/AIDS have specific health and nutritional needs. Good nutrition can help increase an individual’s quality of life. Health promotion and disease prevention: Due to technological advances and treatment, life expectancy of HIV-infected persons has increased. However, there is still no cure for this disease. Education: Increase, knowledge, and awareness. HIV/AIDS affects health and nutrition both directly and indirectly. Food security: Strengthen food production and security at the community level locally, nationally, and internationally by empowering communities to solve their own food and nutrition problems. Research and evaluation: Evaluate facilities and programs that provide services to HIV/AIDS-affected populations. This includes the organization, budget, personnel, operation, costs, utilization, and quality of care in health delivery systems. Hypertension, or high blood pressure, is a "silent killer". It is a condition commonly associated with narrowing of the arteries resulting in blood being excessively pumped against artery walls. This signals that the heart and blood vessels are being overworked. If left untreated, hypertension will cause the heart to eventually overwork itself to the point where serious damage can occur. Hypertension is especially common among African-Americans. It has also been diagnosed in a growing number of children. Are you interested in knowing the nutritional value of the foods that you eat? Metroplex can provide you with some insight about your eating habits. We will analyze your intake data for calories, protein, fat, sodium and vitamins. We work with our clients to address their needs and provide expertise in menu improvement and menu development. Good nutrition is essential to having a healthy baby. A pregnancy takes about 300 extra calories a day to maintain, and an average-sized woman can expect to gain between 25 and 35 pounds overall. However, these extra calories should be nutritious. A pregnant woman needs a balanced diet complete with protein, fruits, vegetables, and whole grains, and a minimum of sweets and fats. To eat well during pregnancy you must do more than simply increase how much you eat. You must also consider what you eat. Metroplex Health and Nutrition Services, Inc., provides comprehensive assessment and individualized diet-related education in areas related to pediatric health. Nutrition is important to your child's overall health. Proper nutrition can also prevent many medical problems, including becoming overweight, developing weak bones, and developing diabetes. It will also ensure that your child physically grows to his/her full potential. Menopause should not be viewed as the "end" of life. It is a normal part of life—another step in a long, slow process of reproductive aging. For most women this process may silently approach somewhere around age 40 when menstruating may become less regular. 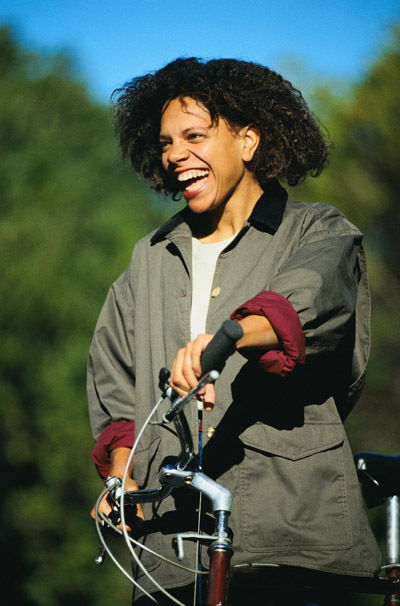 Declining levels of the hormones estrogen and progesterone cause changes in female menstral cycles. • Post-menopause follows menopause and lasts the rest of your life. Pregnancy is no longer possible. Healthy kidneys clean the blood by taking away extra water and wastes. When your kidneys stop working, your body holds fluids, your blood pressure goes up and harmful wastes build up in your body. The result is a condition knows as renal disease. With the advent of health conscious eating, it has become easier to find vegetarian selections at restaurants and grocery stores. A vegetarian lifestyle can be healthful, nutritionally sound and beneficial for the prevention and treatment of certain diseases. Some people believe that vegetarian eating makes it hard to get certain nutrients, such as protein. However, the many soy products that are available can provide the high quality protein needed for growth and tissue maintenance. Nutrition is one of the most important aspects of our daily lives, yet it is often misunderstood and poorly practiced. Depending on what your goals may be (whether it is to gain, loose or maintain body weight) you must eat calories of the right kind, in the right amounts and at the right time. Most people simply do not know how to do this properly. However, with the right information we can put you on the right path toward better health. • Fun, enjoyable activities that will help support your efforts. • Accurate and easy terms of how to plan your food intake, in order to eliminate the mystery of wondering if what you are eating will help you achieve your goal. You will know!